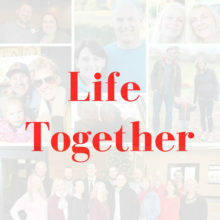 This is an opportunity for Middle School Students to connect with each other on a Sunday morning, and hear a message designed specifically for where they are as young teenagers! The 40 minutes are filled with creative teaching, break out groups, donuts, and the occasional ice-breaker! So come on upstairs when the kids are released during the 2nd service! Come join us during the school year on Thursday evenings from 6:30-8:30 p.m. for a time of games, teaching, and small groups! We will teach on various topics this year, all coming straight from the word of God. It is our desire that this is a place where middle school students can come and interact with God, adults that care about them, and their peers! 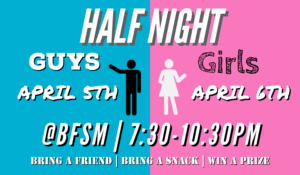 Invite a friend and join us for Middle School Half Night! 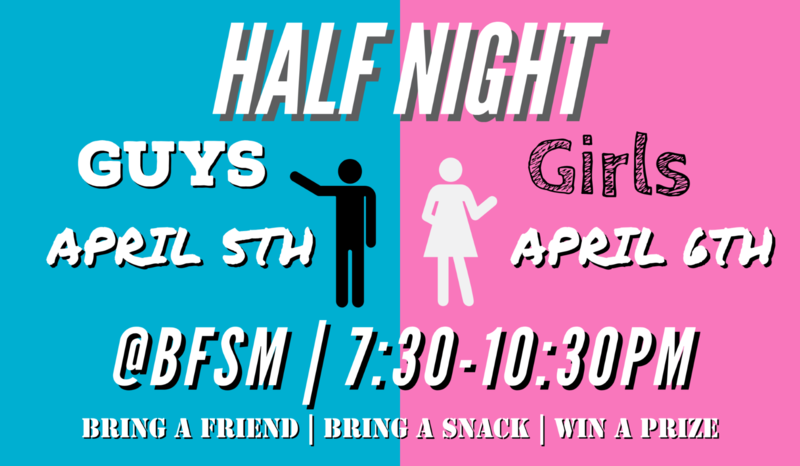 The middle school Guys will meet on Fri., April 5th 7:30-10:30 p.m. The middle school Girls will meet on Sat., April 6th 7:30-10:30 p.m. Please bring a snack to share (no nuts please) and be prepared for an awesome night of games, prizes and making memories! For more information please contact Jon Lucas at jon@believersfellowship.net.  Camping is fun but more fun with ALL your friends at BFSM! Sign up today for a fun weekend at Millersylvania State Park. This year’s trip will be for 7th and 8th grade students. Space is limited so don’t wait! Cost is $49 until 4/14 then $59 until 5/2. If you would like more information, please contact Jon Lucas at jonathan@believersfellowship.net. Schedule Update: Please see below. Due to the snow make-up days for the Peninsula School District, the Middle School Family Mission Trip will still start on Thursday, June 20th with a check-in time between 5-6pm. With that in mind, we have options for you so that you can decide what is best for your family and still join us on the mission field! Join us Thursday evening as planned and student will miss the last half day of school. For individuals with 8th grade students, you could come join us after graduation, later in the evening on Thursday, June 20th and miss dinner but still serve on Friday and Saturday as planned. You could miss the service day on Friday, June 21st and join us at the camp at 3:30 p.m. when all the groups return for the day and spend the rest of Friday with us at camp and serve on Saturday as originally planned. Please email your option choice to jen@believersfellowship.net. 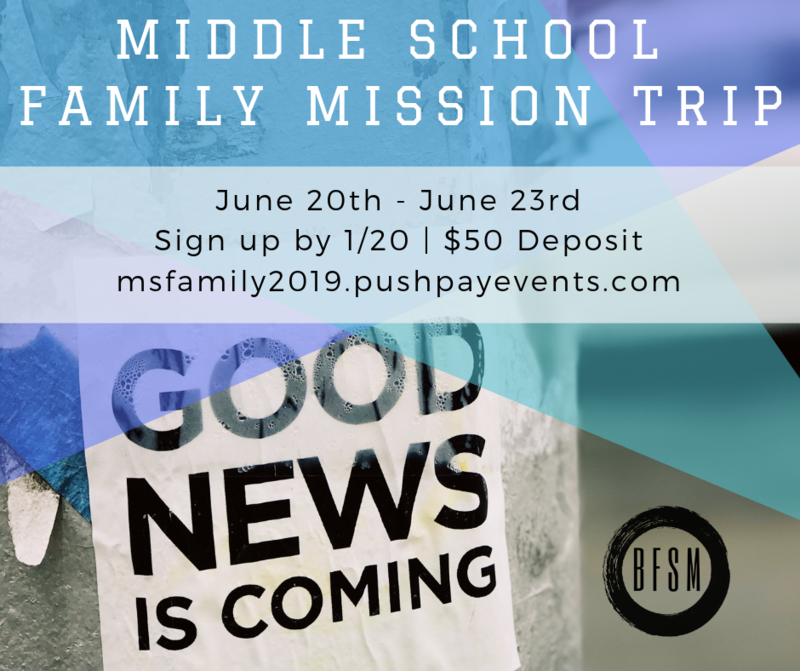 The Middle School Family Mission Trip is now open for registrations. Use the link below to secure your place with a $50 deposit per person. (Minimum age for this trip is 9.) The deadline for registration is January 20th. The total cost will be around $99 per person. Each year the opportunity to serve locally in Seattle, Tacoma, and surrounding areas continues to grow. 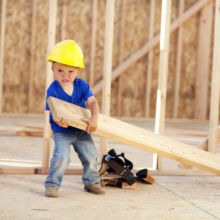 God has been faithful in providing opportunities that allow us to serve alongside our families. It’s awesome to see parents teaching their children the importance of serving God’s people and modeling what it looks like to talk to others about Jesus. We will be staying in a camp environment with the luxury of hotel-style rooms. Each family will stay together with their own private bathroom. After serving and doing outreach, we will strengthen our own community with worship, teaching, a fun family pool party, climbing walls, basketball, gaga ball, etc. 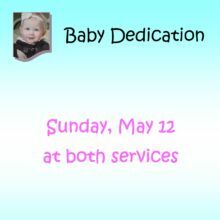 We hope you’ll join us and we can’t wait to see how God will grow you as a family! 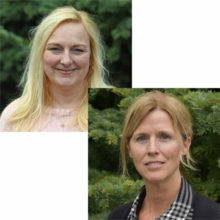 It is required that you participate in the BFSM Gala, so mark your calendar for March 8th. You can pick up your Gala packet from the student ministries desk so that you can gather your (2) auction baskets and sign up to help! Register Here for the MS Family Mission Trip.